The liberal political theorist John Rawls, despite remaining largely silent on ‘green concerns’, was writing during a time of increasing awareness that the ecological stability of the earth is being compromised by human activity. Rawls’s reluctance to engage with such concerns, however, has not stopped several scholars attempting to ‘extend’, or ‘expand’, his works to incorporate this newfound fear for the ecosystems that support human life. But why Rawls? What is to be gained from developing the ideas of a theorist whose primary aim was to establish a system of justice for contemporaneous, rational, and reasonable citizens of a liberal polity? This research monograph offers a critical consideration of the contextual framework within John Rawls’s Political Liberalism and considers its compatibility with the conceptual process of ‘greening’. 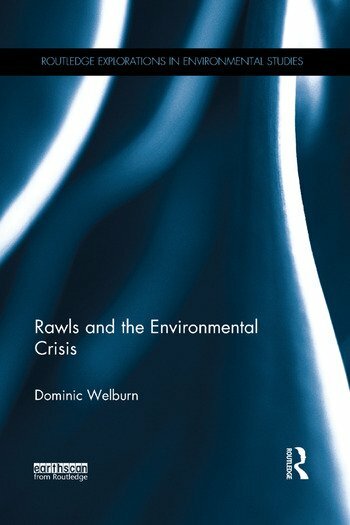 Rawls and the Environmental Crisis argues that Rawls’s perceived neutrality on green concerns is representative of a widespread societal indifference to environmental degradation and describes the plurality of methodological and ethical approaches undertaken by green political theorists in analyzing the contribution Rawls’s theory makes to environmental concerns. Addressing a series of key debates within contemporary political philosophy regarding a wider frustration with liberal theory in general, Rawls and the Environmental Crisis will be of great interest to researchers in contemporary political philosophy, environmental ethics, green political theory, stewardship theory, and those interested in renewing existing conceptions of deliberative democracy. Dominic Welburn is a Lecturer in Politics at Oxford Brookes University.